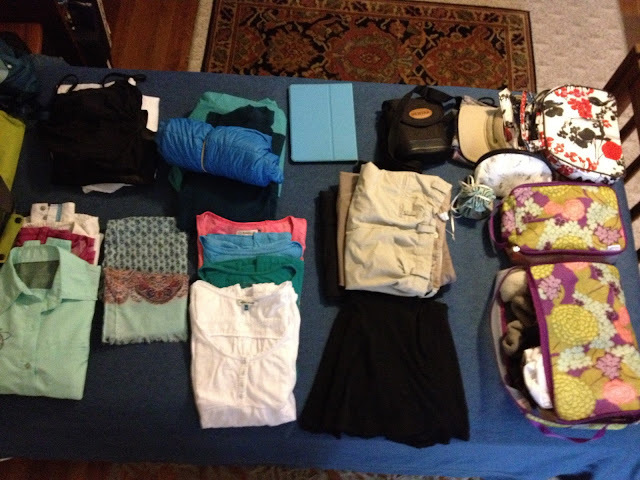 Round the World Flight 2015: What to pack? I think it was travel guru Rick Steves who suggested three of everything - one on your body, one that's clean in your bag, and one that's dirty. So, I've got three pairs of pants, three long sleeve shirts, three short sleeve shirts, one scarf, a skirt, swimsuit, coverup/robe, Tevas, walking shoes, socks/underwear and outerwear (jackets). Total weight including toiletries and binoculars... 17 pounds! Plus my day pack with electronics. So, I'm under Jack's 20 pound limit. I guess that means I've got room to buy some treasures along the way. 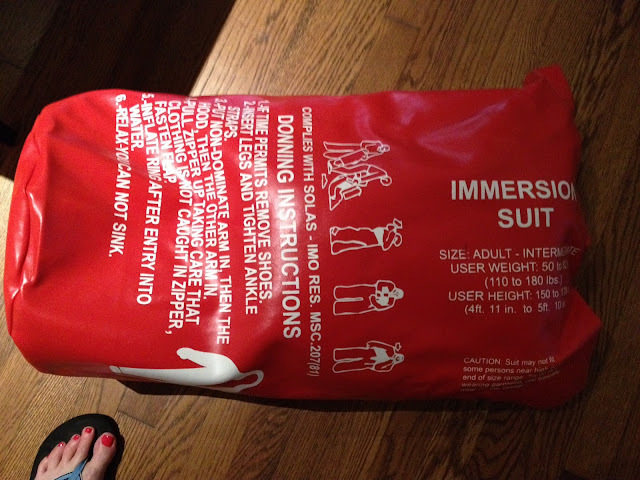 The big orange bag, well that's my very own Gumby style immersion suit. 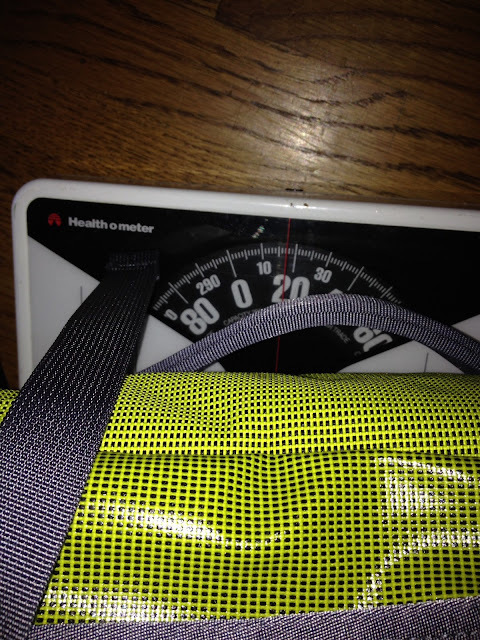 It weighs 9 pounds and thankfully does not count toward my weight limit.